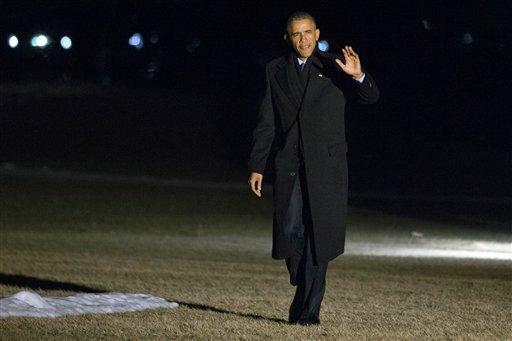 WASHINGTON (AP) — The foundation developing Barack Obama’s future presidential library has commissioned polling in Chicago to determine whether residents support building it on the South Side, people close to the foundation said, in the clearest sign to date that the library likely will go to the University of Chicago. Two Chicago schools and one each in New York and Honolulu are in the running for the library and presidential museum, and Obama is set to pick a winner within weeks. But recently, the focus has shifted decidedly to the University of Chicago’s bid — and a public spat with a conservation group over the elite school’s proposal to build on city park property. Aiming to counter the vocal opposition from park advocates, the Barack Obama Foundation earlier this month enlisted a prominent Democratic pollster who worked on both of Obama’s presidential campaigns. Cornell Belcher of the polling firm Brilliant Corners surveyed more than 600 Chicagoans on the South Side to gauge their opinion on the library and the use of park land, said the individuals, who weren’t authorized to discuss the poll publicly and requested anonymity. There were no indications the Obama foundation polled in the other three communities being considered, driving further speculation that the competition is a done deal for the University of Chicago, where the first lady worked and the president once taught law. In late December, the Obama foundation let it be known publicly that it had serious concerns about the University of Chicago’s bid — in particular, the school’s failure to prove it could secure the Chicago Park District land on which it was proposing to build. That set off a scramble by university officials and Mayor Rahm Emanuel, and earlier this month, the park district’s board voted unanimously to transfer 20 acres to the city, to be leased to the foundation if the University of Chicago gets the library. Obama’s foundation said the move had improved Chicago’s bid, in yet another indication that the University of Chicago was on track to win the library. The Obama foundation’s poll appeared to be laying the groundwork for the foundation and the University of Chicago’s supporters to rebut that argument as the Obamas narrow in on a decision. For example, Belcher’s survey found that roughly 9 in 10 South Side residents favor building the library in their community. When residents were told the project would require park land, support dropped to just 7 in 10. Yet that number rose again to about 9 in 10 once people were told more about the use of park land, such as the shortage of contiguous, vacant, city-owned land on the South Side. The poll was also designed to test specific arguments in support of the library and identify which are most effective. Individuals familiar with the survey said it showed that appeals to Chicago’s pride for Obama and desire to be a part of his legacy were particularly compelling. Arguing that the library would improve young people’s quality of life by driving economic growth was also effective, the poll found. While in town last week, Obama stopped by his family home near the University of Chicago’s campus for an update on the selection process by the foundation’s chairman, but the White House said no decision was made at that time. The University of Illinois at Chicago, the University of Hawaii and New York’s Columbia University are also in the competition.